Reagan has gone missing. Maddox will do anything to get her and their unborn baby home safely. Follow Reagan and Maddox in this dark love story. 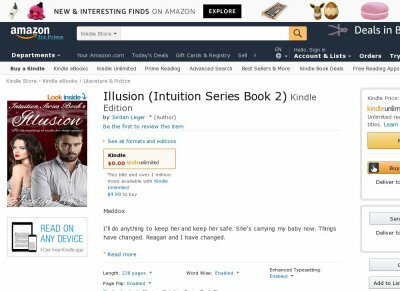 Illusion is the 2nd book of the Intuition Series.